If I were the superstitious type, I’d swear Sony and Panasonic made this latest announcement to coincide with a small time blogger’s post about storage nostalgia and tape drives. Good thing I’m not superstitious! I say that, because not denying it would be bad luck. Sony [..] and Panasonic [..] today announced that they have signed a basic agreement with the objective of jointly developing a next-generation standard for professional-use optical discs, with the objective of expanding their archive business for long-term digital data storage. Both companies aim to [..] target the development of an optical disc with recording capacity of at least 300GB by the end of 2015. 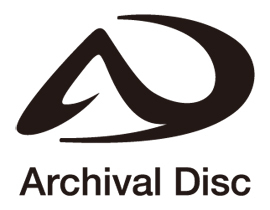 Sony [..] and Panasonic [..] Corporation today announced that they have formulated “Archival Disc”, a new standard for professional-use, next-generation optical discs, with the objective of expanding the market for long-term digital data storage. Just how big a storage jump can we expect? Well, that was clearly the wrong quote. Both Sony and Panasonic aim to ..] further expand the recording capacity per disc to 500 GB and 1 TB. It’s far too late in the evening to process the proposed technical specifications, and I carry my own reservations about optical storage given past issues, but I will admit a piqued interest.